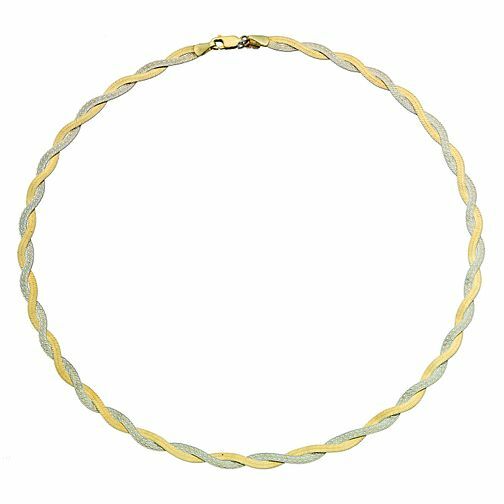 Together Bonded silver and 9ct yellow gold 17" necklace featuring diagonal herringbone finish. Together Silver & 9ct Bonded Gold Herringbone Necklace is rated 5.0 out of 5 by 1. Rated 5 out of 5 by Anonymous from Happy Beautiful necklace, looks really good on. The bracelet to match is beautiful too.